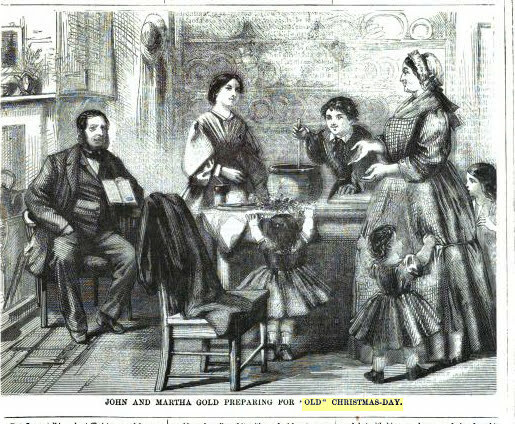 "Old Christmas" was January 6th and new was December 25 in the following story. 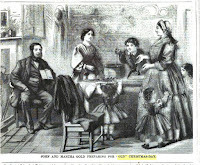 The father kept Christmas on the old date when the mother Martha Gold served her locally famous pudding - recipe below. From an 1866 British magazine. Although fir trees were the most popular, small cherry or apricot trees were planted in pots, or branches were cut and put in water so the blossoms appeared during the holiday. 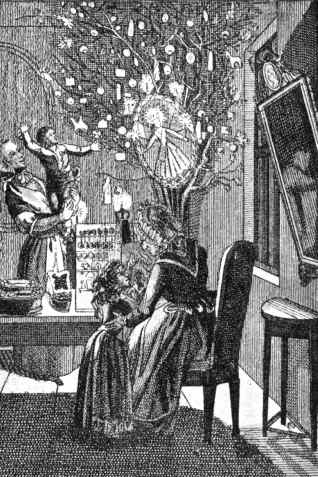 The picture of a flowering tree decorated with ornaments and candles is from 1790 Nuremberg Germany. 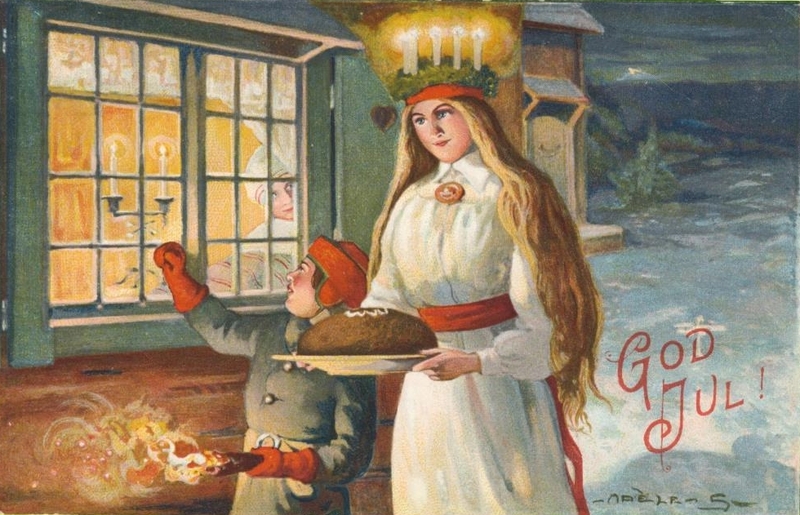 In Sweden, the oldest daughter in the family wears a wreath of candles on her head and serves breakfast ... then the family goes back to bed. In the 'old calendar' the day fell on the shortest day of the year. 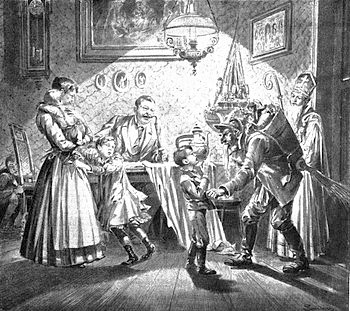 In Germany and Pennsylvania Dutch areas, Belsnickel or Pelznichel appeared on Dec.6 - the Saint's day of Saint Nicholas. He carried a rod and wore a scary disguise, with jingling bells and clanging chains... not a jolly Santa Claus.